A few years ago my sister and I spent a week in July in Cancun . The colours there seemed more brilliant than here at home. Among the many animals I saw while there we saw iguanas, the above macaws, brightly coloured fish etc. I took lots of pictures, like the one above, but the bird that held my heart while we were there and kept me continually entertained was plain black. 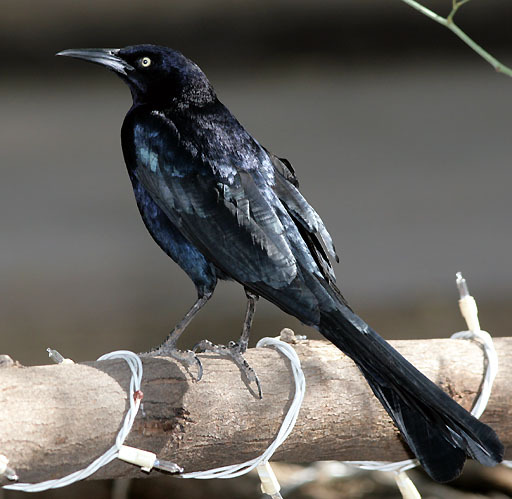 Locally called the cenote, this bird is the great tailed grackle. Yes, it was basically the same bird that often covers my front lawn at home to which I give only passing attention! 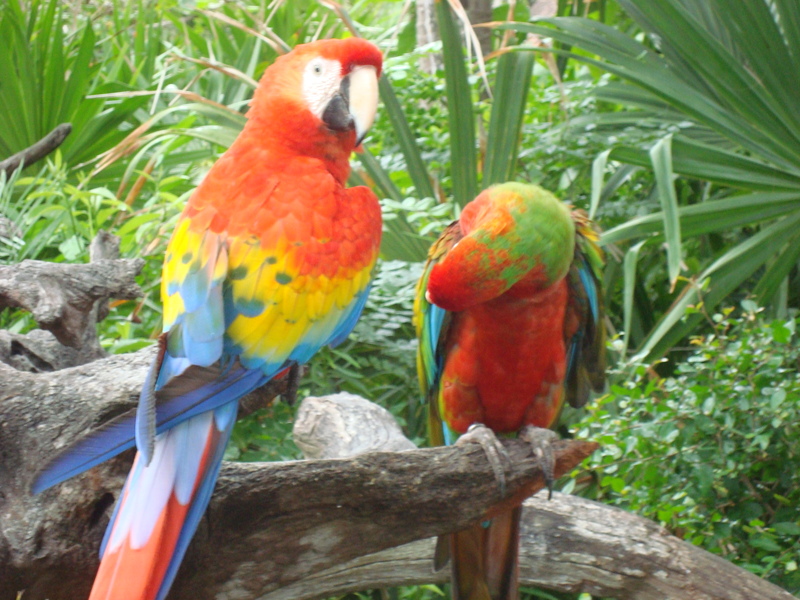 I was so enchanted with these birds that I actually didn’t take a single picture of them. I enjoyed watching their personalities which were clear while they watched for a snack at the open restaurant, puffed themselves up to get the attention of a female, and their voices called to me all day long. These otherwise plain birds represent that awesome week to me, not the showy ones. So what colours are you? Just as God has given different colours to different birds He has given each of us our own unique “colour.” I don’t mean skin colour, brown, blonde, red or black hair, nor do I mean blue, brown, hazel eyes. These things are not what give people their colour. We get our colour from our personalities, our talents and we show them through our beliefs and our behaviours. In September of 2007 a Grade 9 boy at Central Kings Rural High School in Nova Scotia wore a pink polo shirt on his first day of school. He was bullied, called gay and threatened with being beat up. Two grade 12 students took it upon themselves to rectify the situation. They spread the word using the internet and were on hand the next day passing out 50 pink t-shirts they had purchased at a discount store for people to wear along with many who wore their own pink clothes. These students sent a message that day that is now repeated all around North America on Pink T-Shirt Day (Feb 23 this year). That day in 2007 these two boys showed their beautiful colour to that young man and to all of us. Your God-given colour is there waiting to shine. Perhaps you will join with people on Wednesday to wear pink in protest of bullying in our society. Perhaps your colour will express itself through your donations to a charity, or through your actions to lobby for help for the marginalized people in our society. Maybe it will be seen as you listen to a friend who needs support. Whatever form your talent takes it will only show your colour if you put it to use. Go ahead…show your colours!